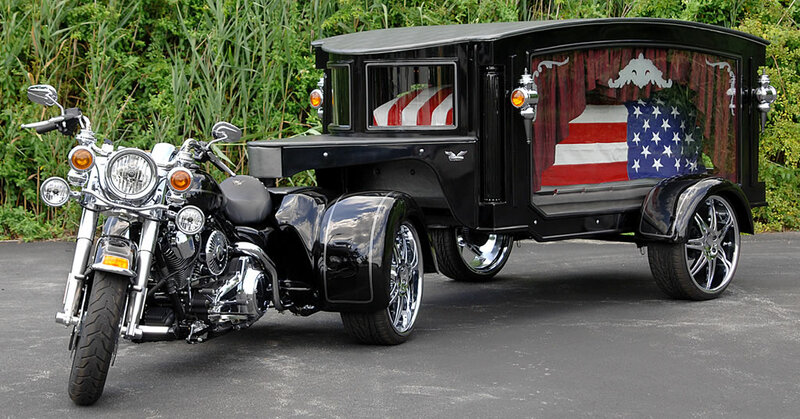 Take a memorial ride in procession with the cremation urn present in the hearse coach (up to 50 miles; motorcycle escorts are available at additional cost). Celebrations may include birthdays, anniversaries or other special occasions of the deceased. Some families choose to visit homes lived in, schools attended, places worked, and/or a favorite restaurant. Then conclude for a family gathering at a pre-selected location. Invite us to your next event: birthday parties, retirement parties, Halloween/theme parties, corporate events, grand openings, and ribbon cuttings. Please call us with your special requests. Call for special event pricing. Active duty military and first responders (Police, Fire Fighters, EMTs) who sacrificed their life in the line of duty will receive a $300 credit on our basic service charge for funeral services and memorial rides (all other charges will apply). To adjust for long-distance travel, a trailering fee from the Beaverton garage to the starting point may be added at a rate of $2.75 per mile (one-way). Services lasting more than 4 hours from the report time will incur an additional $100 per hour, billed in quarter-hour increments. When the place of final disposition (burial) is outside of a 30-mile radius of the starting point, a relocation fee of $2.75 per mile will apply to trailer the coach back to the starting point. Any trips requiring an overnight stay will incur an additional $300 per diem for the driver’s lodging and meals. All fees will be explained and agreed upon before the service. Pricing is current as of November 2017, but is subject to change without notice.